Handmade, Vegan, Cruelty free, Cold process made aromatic Bathing Bar with Certfd. Org Coconut & Olive base Oils. Rose Oil is known to have the best aphrodisiac, antidepressant fragrance . It has also excellent astringent properties with skin toning & firming effects. Real country Rose petals in this soap adds to the aromatic properties. 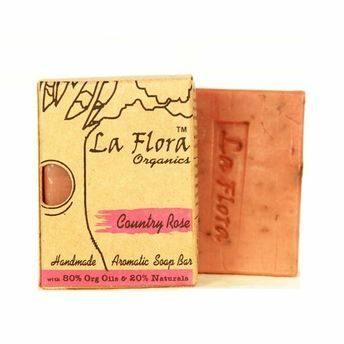 French pink clay gives not just color to the bar but makes the skin soft and nourished.